It’s officially been a year since I moved to the West Coast! I’ve discovered there’s always something going on in and around Vancouver and there are tons of events and festivals to check out throughout the year. There’s the Celebration of Lights firework shows in July, the rotating Food Cart festivals around the city, the Pacific National Exhibition in August, Fright Night at Halloween, and the many Christmas light festivals and Christmas Market in December. We recently did Dine Out Vancouver as well, a 2 week festival in January where restaurants all over the city offer three course meals for $18, $28, or $38. I have to admit that the ski weather isn’t always the best outside Vancouver, but I love having access to skiing so close to the city! I’ve been up to Cypress three times since I moved here; they do seem to struggle to get enough snow and to keep it on the mountain (although I’ve been told it’s been a bad season), but it’s a great size mountain and only 30 minutes away! 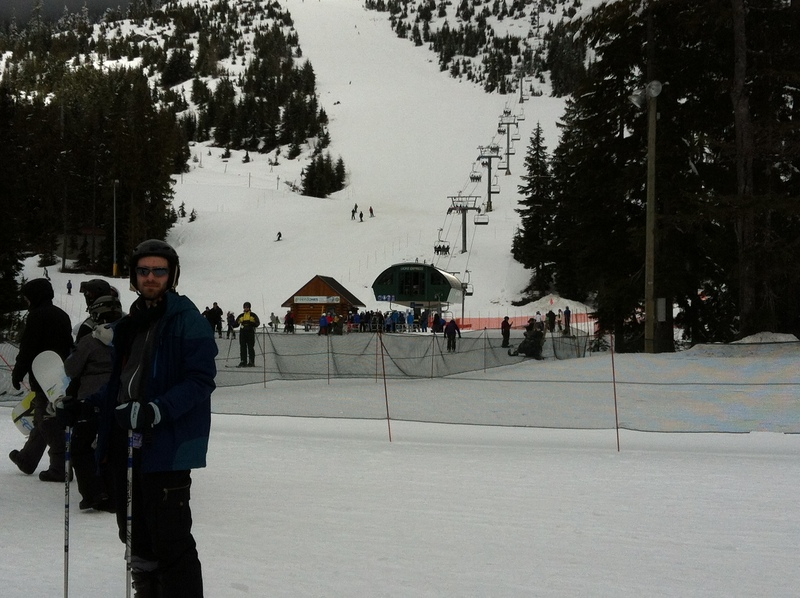 I am hoping to get out to Whistler this year though! Over the Labour Day long weekend Seth and I drove out to the Okanagan and spent three days camping in Okanagan Lake Provincial Park. We spent our time swimming in the beautiful lake, visiting wineries in BC’s premier wine region, and hiking along the train tracks of an old steam train. 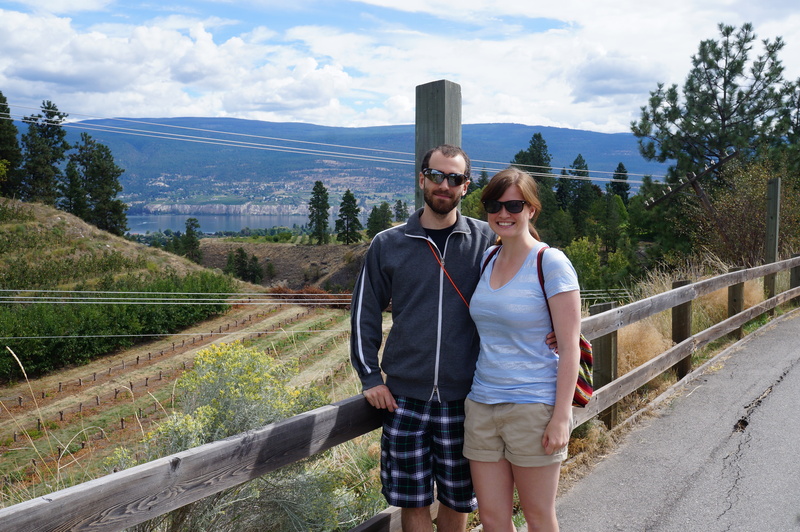 It was a pretty relaxing weekend and we loved all the beautiful scenery in the Okanagan and along the drive. Living near a city that actually attracts popular artists and has several home teams in multiple sports has been a real pleasure, although one that I still haven’t really taken full advantage of. 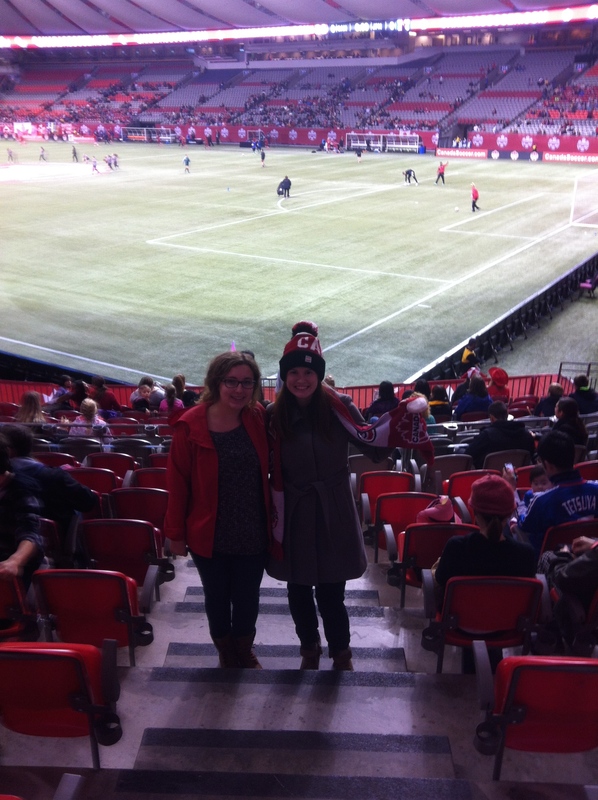 We saw the women’s Canadian soccer team and the Vancouver Giants play this year and we’re planning to catch a Canucks game soon. Hopefully this summer we’ll also get a chance to see the Vancouver White Caps (soccer) and the Vancouver Canadians (baseball) play. I only went to one concert last year, Elton John, but there’s always someone putting off a concert downtown and I plan to pay closer attention to who else visits this year! 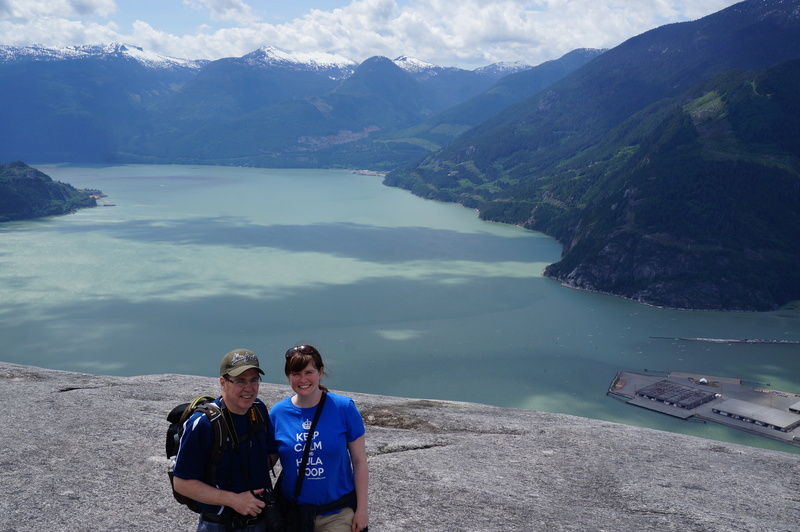 One of BC’s more popular hikes in the lower mainland is The Chief. We decided to hike it when my Dad visited in early June. As challenging as the hike proved to be (it’s about a 700m elevation gain in just a few kilometres), the view from the top was amazing! The Chief has three peaks that you can hike to, but we were so exhausted after the first one that we decided just to do one. Pretty much the entire hike is rock steps and near the top there’s a fair bit of climbing using chains attached to the rock, but it’s well worth the effort once you reach the top! 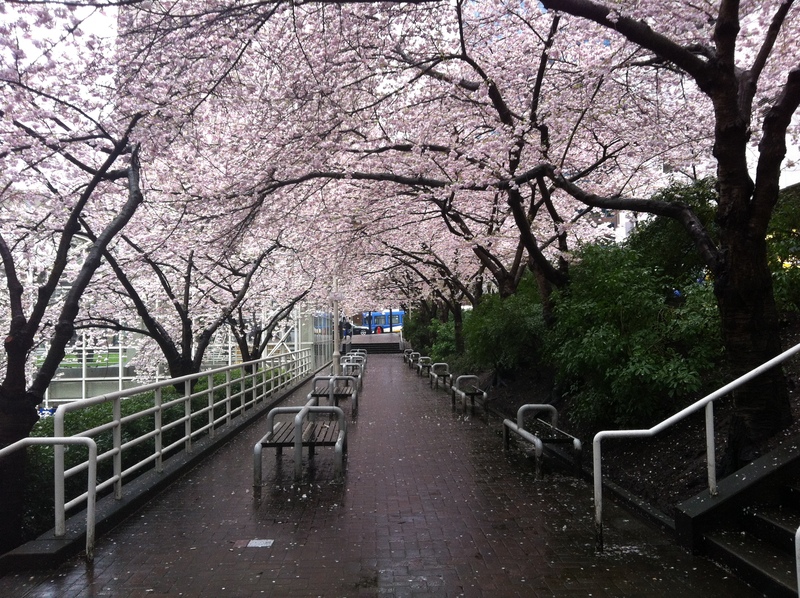 Spring is actually a real season in BC and this was the first year I’ve ever appreciated it! I couldn’t believe when the cherry blossoms starting budding in April and that it was 22 degrees outside when we had a team BBQ outside at work in early May. Sorry Newfoundland, but I do not miss snowy May 24 or Juneuary. 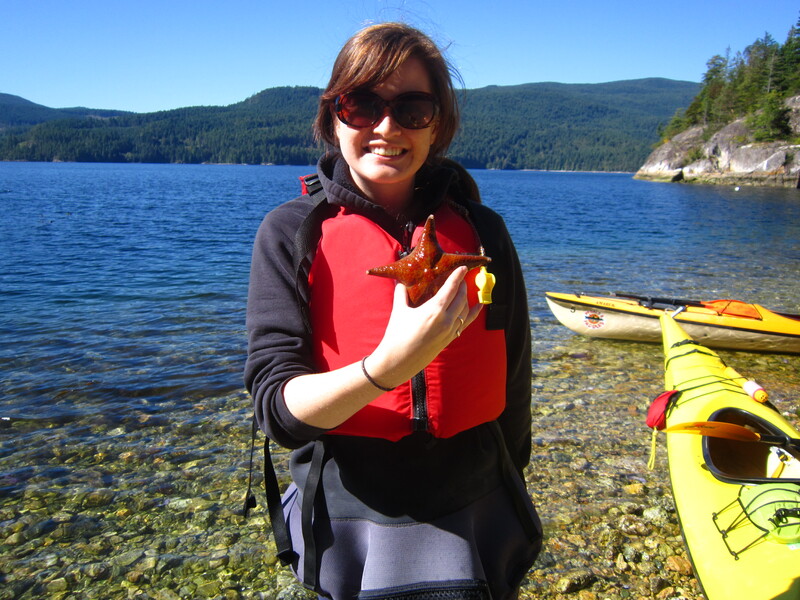 My parents came to visit in September and we made a little journey over to the Sunshine Coast and ended up going kayaking in Porpoise Bay. It was probably one of my favourite times kayaking! Porpoise Bay is completely sheltered, so the water was super calm and we saw all kinds of interesting things, from starfish and sea cucumbers, to harbour seals and river otters! We didn’t even need a guide because it was so easy going, so we just spent the morning exploring several bays. Vancouver is so close to the US border and I love being able to hop across the border when it strikes my fancy! 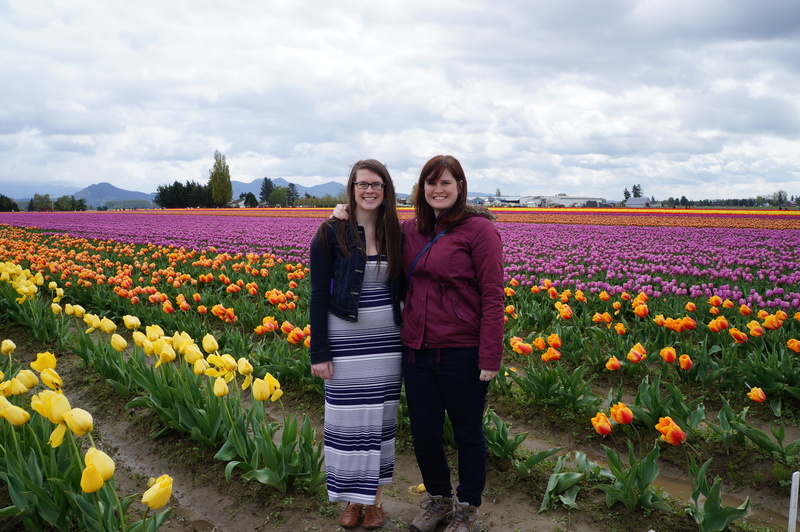 In April Emily came for a visit and we went down to Washington to see the Skagit Valley Tulip Festival and to visit Seattle. 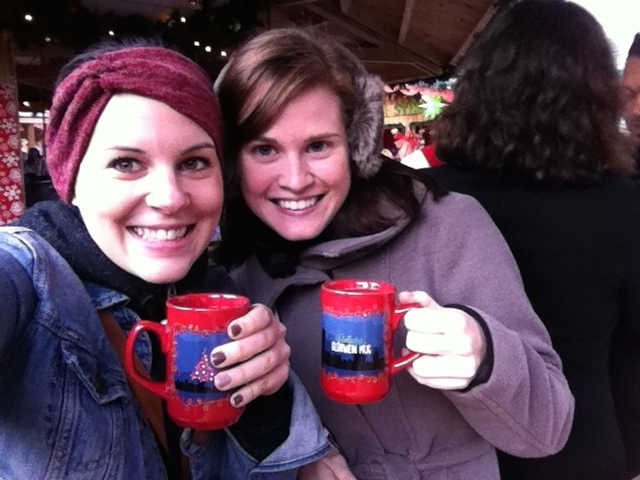 Then in August, as you probably know from my previous blogs, my friends came from Newfoundland and we went on an epic road trip from Vancouver all the way down to San Francisco! We decided that Oregon is the undiscovered gem of the west coast. Camping was my new discovery this year. 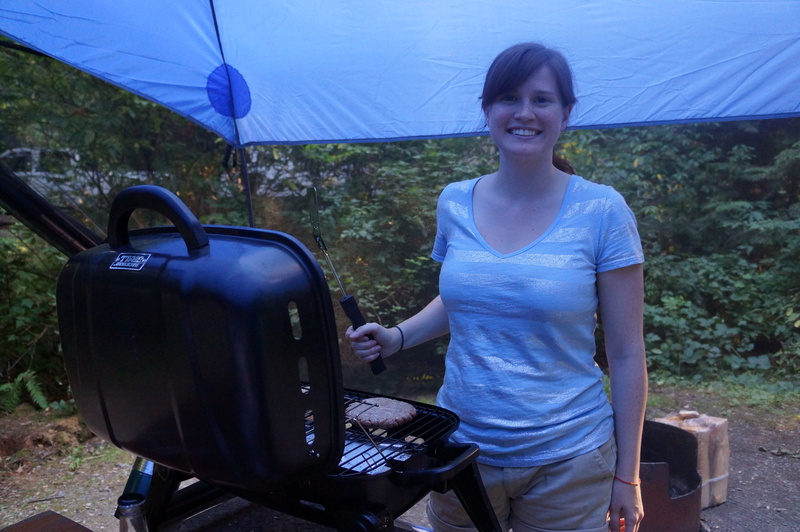 We went camping for a weekend at Cultus Lake, but honestly, I don’t think it mattered where we went, I just loved it! My parents gave me their old tent from the 80’s and we bought little bit of camping gear and just had a great time soaking up the sun, swimming, having campfires, and cooking outside. It’s so nice to get out of the city, especially in a place like BC where there’s so much gorgeous landscape to explore! 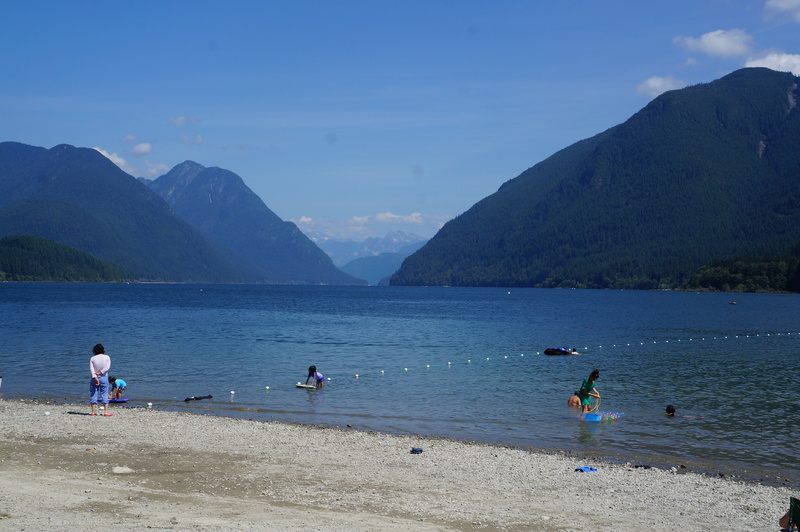 We didn’t get a chance to go camping at Alouette Lake, which is located in Golden Ears Provincial Park, but we went there for a day trip in July and loved it. The lake is located right at the base of the mountains and just has the most beautiful backdrop! You can rent canoes there, which was tempting, but we opted instead to go for about a 5km hike along the river next to the lake up to a waterfall. It was a great day and we hope to go camping there this summer. Don’t worry, I’ll never stop being a Newfoundlander, but one of the things I love about Vancouver is the active lifestyle that people try and live. I really took ownership over my health this year; I started running and hula hooping and made a big effort to adopt better eating habits. 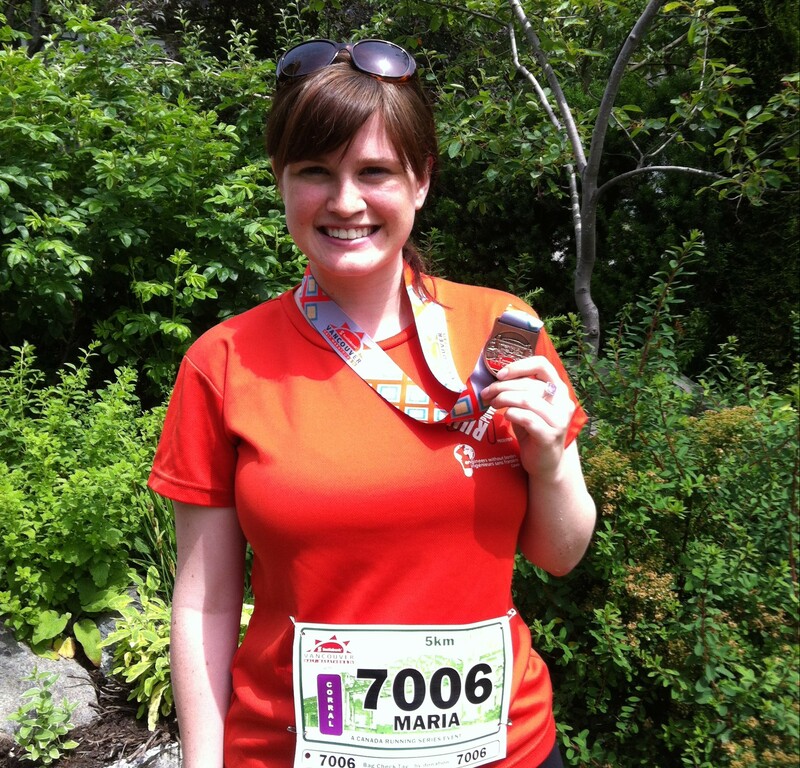 Like Newfoundland, everyone here loves the outdoors, but there’s a bit more of an opportunity to enjoy it (weather-wise), so I made every effort to get out and enjoy nature! 1. Trying all the restaurants! 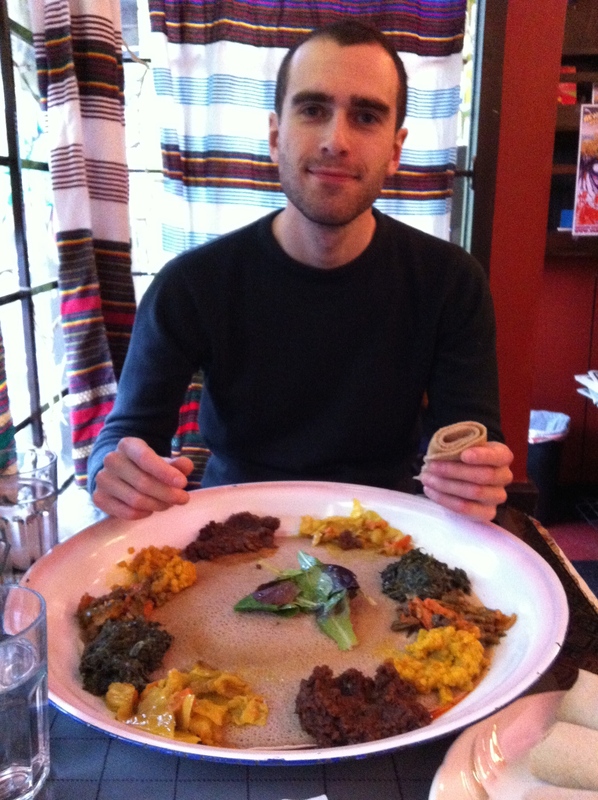 Vancouver is so incredibly diverse and there are so many amazing places to eat here! One day I was just thinking about all the restaurants here and realized that I’ve barely eaten at any chain restaurants in the last year! I love trying new foods, especially those that are not easily available in St. John’s, and have been busy trying out as many new foods as possible. My favourites are probably Indian, Thai, and, of course, sushi, but I’ve tried a lot new foods since I’ve been here and love that most of the restaurants are locally owed and pretty authentic. I currently have a tie going for my favourite restaurant between this wonderful vegetarian mexican restaurant at Commercial-Broadway, Bandidos Taqueria, and a delicious sushi restaurant at Royal Oak that my friend introduced me to, Sushi Oyama.